One Ukrainian soldier wounded in Pisky shelling . 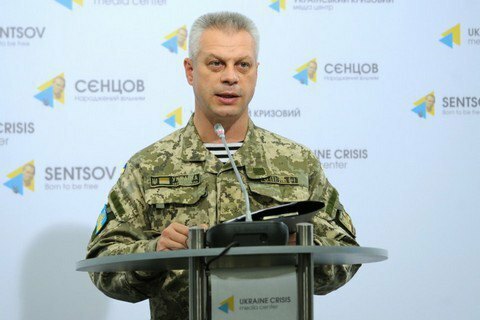 Over the past day one Ukrainian soldier was wounded in the zone of the antiterrorist operation in Donbas, the spokesman of the Presidential Administration on ATO Col. Andriy Lysenko told a press briefing on 31 August. "Over the past day, none of Ukrainian soldiers died in hostilities, but one was wounded in the village of Pisky, Donetsk region as a result of shelling," said Lysenko. He also noted that of the 26 ceasefire violation cases, 11 were in the Luhansk direction, mostly from heavy weapons. The Donetsk sector saw 24 ceasefire violations, of which 14 involved heavy weapons. In the Mariupol sector, of 25 shootings eight were from heavy weapons. In the previous day, the Russia-backed militants 75 times fired that the positions of ATO forces. Amid the ongoing violations by the enemy, Kyiv has initiated an emergency video conference of the Contact Group on 1 September.